Find the latest tools, research, and guides to develop a healthier, safer and more productive workforce. Search categories for tips on Total Worker Health®, ergonomics, chemical and biological exposures, industry-specific challenges and much more! Bring Total Worker Health® into your organization. The Oregon Healthy Workforce Center is looking for businesses in the Pacific Northwest to participate in the YourWorkpath Program. Gain access to evidence-based workplace safety, health and well-being toolkits. Your organization will have the opportunity to try out our Total Worker Health® toolkits for up to one-year, as well as receive additional incentives. If you are interested in learning more about the program or participating: 1) visit the YourWorkpath Program page, 2) download the one-pager to share with your organization and 3) email schucker@ohsu.edu. 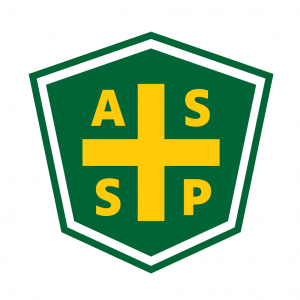 Apr 18, 2019 Welcome Broken Top ASSP Oregon Section! In this post, you’ll find links to each of these tips in case you’d like to bookmark them for future reference. Each post discusses an individual de-escalation tip, shares relevant Crisis Prevention Institute resources that can deepen your understanding of the tip, and includes a handy visual aid that you can feel free to share. Get assistance locating resources or technical assistance related to workplace safety and health issues. Find educational resources to help prevent serious injuries and fatalities at your workplace. Join us at our twice yearly educational symposia designed to address emerging issues and topics relevant to workplace safety, health and well-being. Past events are available for later watching below. Visit us throughout the year as we exhibit and present at state, regional and national conferences. Workplace aggression: Best practices to prevent, identify and safely mitigate aggressive behavior and violence. Handouts and webinar recordings now posted on our website.